Did you read Cassandra Clare’s Mortal Instruments series? I did and I loved them! They were full of mystery, fantasy, uniqueness, incredible characters and a story that was rich and and just awesome! Me owns a copy of this awesomeness! Friendless and hunted, Tessa takes refuge with the Shadowhunters of the London Institute, who swear to find her brother if she will use her power to help them. She soon finds herself fascinated by—and torn between—two best friends: Jem, whose fragile beauty hides a deadly secret, and blue-eyed Will, whose caustic wit and volatile moods keep everyone in his life at arm’s length…everyone, that is, but Tessa. As their search draws them deep into the heart of an arcane plot that threatens to destroy the Shadowhunters, Tessa realizes that she may need to choose between saving her brother and helping her new friends save the world…and that love may be the most dangerous magic of all. Cassandra Clare has a writing style that is unique, maybe it’s not her style but more the plot she creates and most of all the characters she brings to live. Again, I absolutely loved the story about Tess a 16 year old girl that suddenly finds herself in London hold hostage by some sinister woman that want to use her for their own accords. This is when the Shadowhunters Will and Jem find her and bring her to the institute. So much for what reminds of the Mortal Instruments, just Clockwork Angel is set long before the events of the Mortal instruments in the Victorian time. We will also meet characters from the Mortal Instruments like Magnus Bane! What would be a good story without a Love Triangle… As much as I hate it we have two guys that both seem to show interest in Tessa. There is Will, that let’s nobody close apart from his best friend Jem. He’s a sarcastic Jerk but once you get glimpses behind the facade you have to let them in your heart!! Then there is Jem who is suffering from a demonic desease and had to watch his parents get murdered. Oh boy! I would just love to take him in my arms and tells him all will be good. CC has this extraordinary gift for characters that are deep multilayered and beyond behind plain. 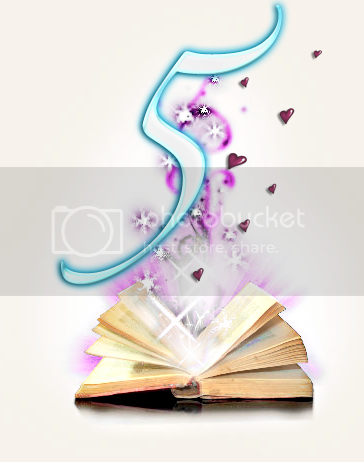 That is what I love most about her stories! For me? At the moment I’m Team Jem although I’m pretty sure Tess will choose Will in the end. It’s not like I don’t like Will, I found him absolutely intriguing but in Clockwork Angel Jem won my heart! with some Love and there you go! Apparently Tess has some powers she didn’t know she has and those dark sisters want desperately to use Tess for their purposes. But, of course it’s not clear for what, only that Tess is incredible powerful! The Shadowhunters rescue her and take her to the institute to protect her and to find out what is going on good old London. Absolutely fast moving plot with incredible good plot twists! Well, and then there is also the sweet growing love story. But, CC stayed true to the time she placed the story! There is not much more than a stolen kiss here and there, but it’s oh so sweet! Also, Tess is a true girl from the Victorian time and struggles with the easiness woman and men live together as equals in the Shadowhunterworld. CC world, writing style and characters are so unique that this book deserves nothing less! I can’t wait for the next book in this series and I’m excited to find out more about Will, Jem and Tess! Note: Although this is a pre sequel to The Mortal Instruments, you can most definitely read this one before you read The Mortal instruments! Did you read it and loved it as much as I did? Do you love her writing as much as I do? I wish you all a wonderful start in the week, and if you haven’t entered our giveaway yet then: What are you waiting for? We have awesome prizes! I still havent read this, so thanks for this review! I loved it tooo! I love the TMI series but I got to give this a whole new different kind of love. No comparison, love all the books. Cassie really rocks! My recent post Bits of This And That- September Round-up and Hello- October! Great review! I am about half way through City of Bones. This is my first Cassandra Clare and I'm loving it. 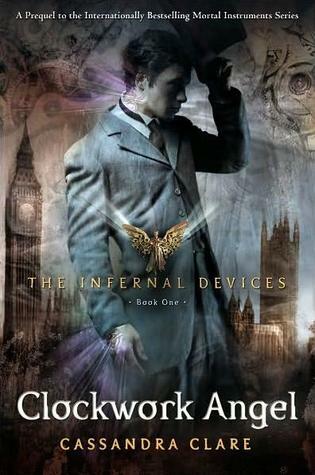 I have the next two in the series on my bookshelf AND this one too – Clockwork Angel. That's me set for the next month! Great review, Danny! I want to read this book so bad but I want to start with the Mortal Instruments first. I mean, I love Jem, but he gave off a friends only vibe. Don't you think? Don't get me wrong. I love Jem. He is a total sweetheart, but for me, it is all about Will. And as far as first kisses go…Holy Water and Blood! WOW! Right now, I am team Will, but Jem has his chance to shine next book. I adored this book (and the Mortal Instruments series)! I only wish they would be published faster! I can't wait for the next one! I cannot say if it's better but I would say it is at least as good, that is for sure! The Victorian time has a certain appeal … But if you loved TMI you will love this one as well! My recent post Pleasy Cheesy ! Cassie is really one of her kind, she has a style that you cannot find somewhere else!! She rocks, so true! If you just started it and already love it – you will ADORE her after you are don. But, I promise you will go through hell! Thanks so much! Yes it's totally to first read TMI and I'm curious to see what you think! I perfectly agree with you on Will! But give TMI instruments a shot, they are awesome!! The wait! Oh my… THIS torture! … it's hell.. I hope you gonna like them:) but they are worth the try!